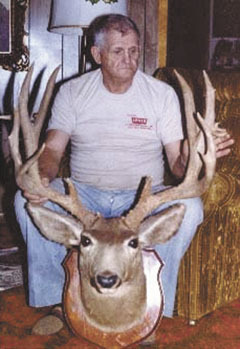 Milton Woodham of Colorado Springs, Colo., sent in this photo of his father, Gene Woodham, with his trophy class deer head. The picture was taken in November 1981, one year before he passed away. This community page is just for YOU! Have a photo you would like to share? Send it in! Want to brag a little about an award you received? Here is the place to do it! Proud of your business?